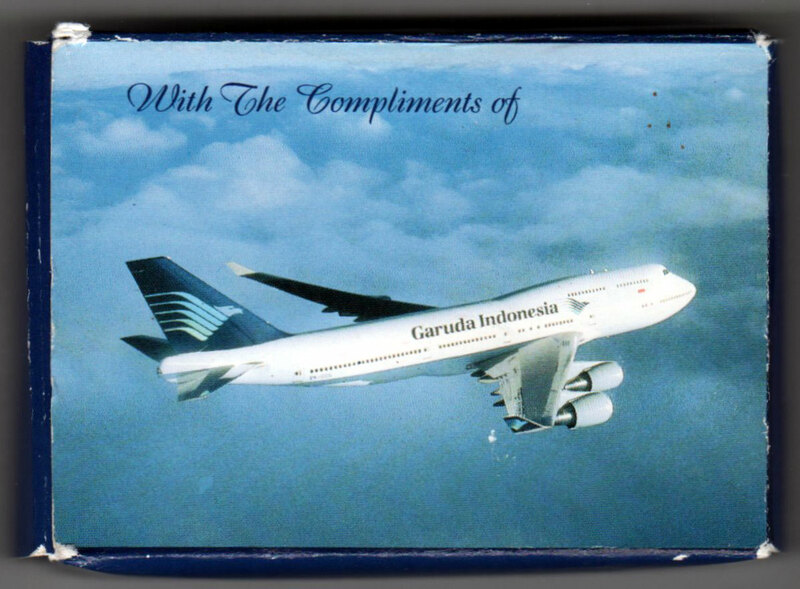 Above: souvenir playing cards from Garuda Indonesia Airlines. Unknown manufacturer. 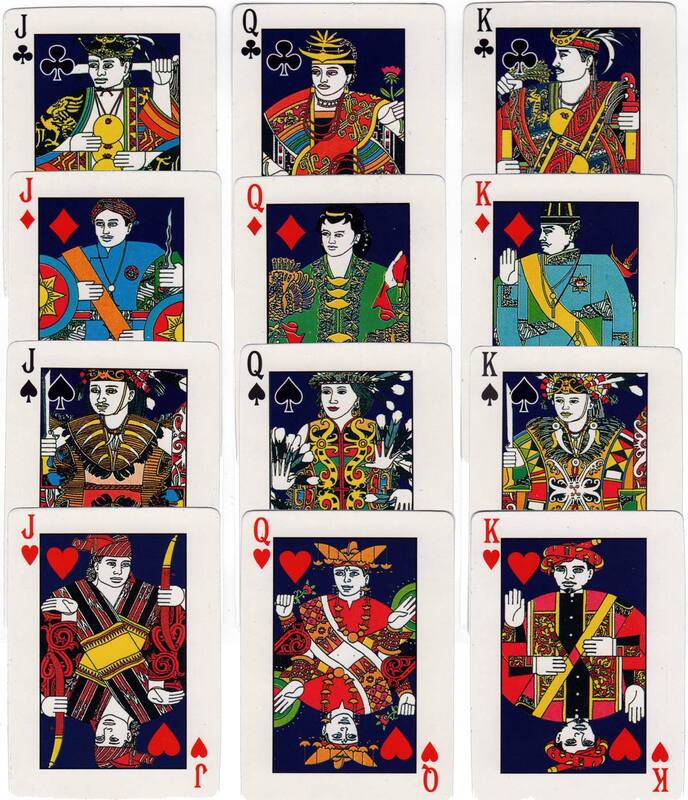 The cards are made of low quality paper, rather poorly cut, BUT take a look at the design! Images courtesy Matt Probert.